A colleague asked me if she could quickly extract usernames from Email Ids. She had more than 1000 records and less than 2 minutes to do it. In this tutorial, I will show you 2 methods to do this. And none of it would take more than a minute. This is the easiest way if the data has a pattern. For example, in email id, there would always be a username, followed by ‘@’, and ends with the domain name. This will give you the usernames from the email ids. 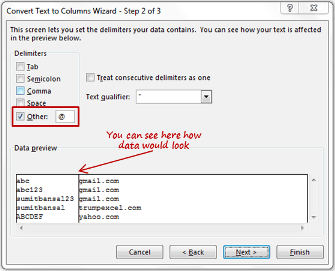 Note that if you do not specify a destination cell in Step 3, the original data is overwritten with the extracted data (excel does warn you before overwriting). This method is super fast and you can have the list in a couple of seconds. However, it is not dynamic. If you add a record or make any changes in existing email ids, you will have to do this again. Excel Formulas has the benefit of making the results dynamic. 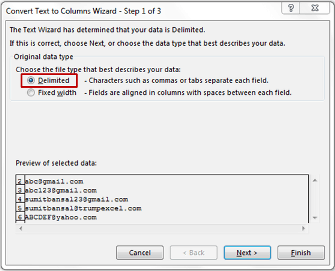 With formulas, if you change the email ids, the result would update automatically. Whichever method you choose, it will not take you more than 2 minutes to do it. Analyze Each Character of a Text String. 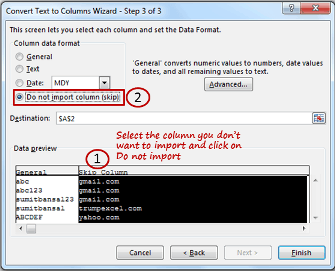 Extract Data from Drop Down List Selection in Excel. 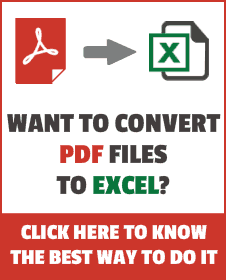 Don’t forget you can use Flash Fill for Excel 2013 and later versions. Hi Khushhal.. Thanks for commenting. The formula seems to be working fine on my system. I checked it for various versions of excel. Can you share the file or data set (in drop box or onedrive)? Great tips Sumit! One other I thought of was to do a Find and Replace. Leave the replace field blank. This will find all the “@” symbols and the asterisk symbol “*” is a wildcard that will include everything after the “@”. Replace it with nothing and you will be left with the username only.